All about the Smallest in the World! 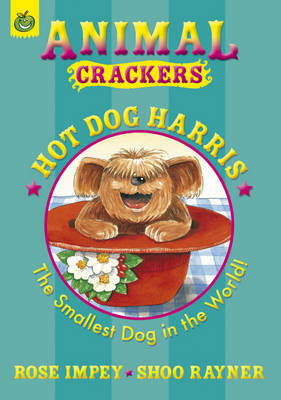 hot dog Harris is no bigger than a bar of soap or a bag of chips. But for a very small dog, he has some very BIG adventures! The Animal Crackers series is back by popular demand, with an attractive and fresh new cover design. Inside, the pages have clear, easy-to-read type and fun colour illustrations throughout each book. They also include joke sections and are published in a large, child-friendly format.